William operates the family farm with his dad and brother near his hometown of Portage la Prairie, Manitoba. He’s proud of his roots – being the 5th generation to farm in the local area. As well as other crops, their main focus is in edible bean production. 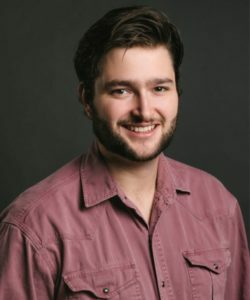 William graduated with a Diploma in Agriculture from the University of Manitoba before returning to complete his Degree in Agribusiness, graduating in 2017, where he was the recipient of the University Gold Medal in Agricultural and Food Sciences, awarded for outstanding achievement in the faculty. He knows that it was the right policies that provided the opportunity for the pioneers to build this country, and it will be the right policies going forward that will allow future generations to prosper. The Western Canadian Wheat Growers Association welcomed the increase in the small-business tax deduction to $500,000 from $450,000 announced in the budget. “This will put Manitoba in line with the other Prairie provinces,” association director William Pallister said in a news release, but the association worries about the “devastating” carbon tax. Increasing the tax exemption will “put Manitoba in line with the other Prairie provinces,” William Pallister, a director with the Western Canadian Wheat Growers Association, said in a statement.